This Valentine’s Day, what could be better than finding a note from a secret admirer in your mailbox? 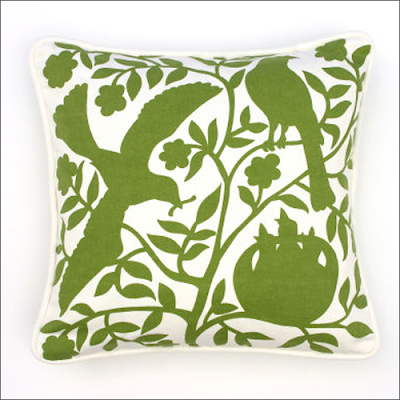 How about a gorgeous and totally free Nest Pillow by Thomas Paul in fresh spring green to liven up that sofa or comfy chair! Not only am I thrilled to be hosting this giveaway event, with an item of my own choosing from All Modern, it seems I have fallen madly in love with the work of Thomas Paul, a NYC textile and fashion designer who’s home collection is featured on the site. A man after my own heart, Thomas Paul favors modern vintage prints with punchy colors, and offers a full range of decorative floral and natural curiosity inspired themes, all rendered in bold graphic style. Tell me why you're feeling the love for this fabulous accent pillow and how you intend to add a splash of bright color to your current decor, in the comments section of this post, and next Saturday I’ll announce one lucky winner! Please note, this giveaway is open to US and Canadian residents only. 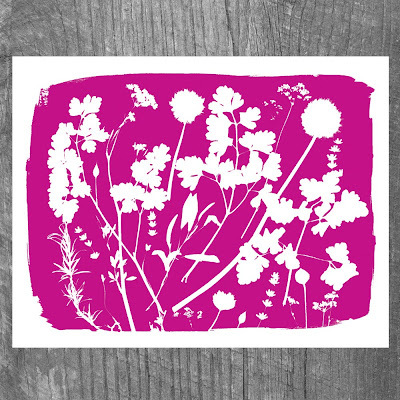 I’ve just launched my Spring 2010 card collection for Handmade On Peconic Bay, my husband’s line of unique art prints and paper goods. 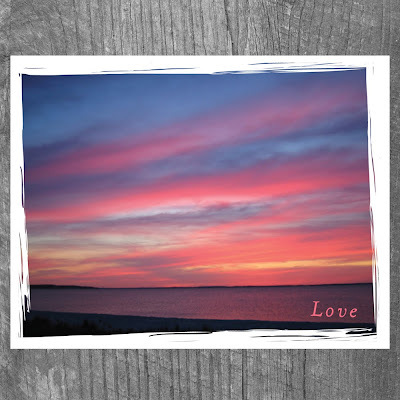 The un-retouched photo of a spectacular sunset over Peconic Bay, used in my Sunset Love design above, was created with Valentine’s Day in mind but is perfect for sending a heartfelt note to someone special on any occasion. 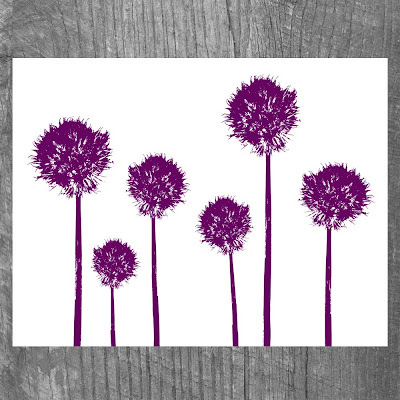 New this season are botanical blank note cards in a range of hothouse colors like Chive Flowers, shown above in Iris. Based on a scan of dried and pressed edible wild flowers from Matt’s Long Island chef’s garden, I’ve taken some liberties with modern software in creating a 2D graphic photo illustration of the original. We print and fold our cards by hand, using a high end Epson ink jet printer with archival inks on fine quality Strathmore paper. Each card comes with an eco-friendly recycled paper envelope and contains a little bit of our Peconic Bay. Cynthia Rybakoff for Handmade On Peconic Bay Valentine’s Day cards, $3.50 each at Supermarket and Etsy. Love is in the air, and it smells so sweet. Dear husband, it's not red long stemmed roses that I crave for Valentine's Day, but bunches of fragrant pink peonies, velvety garnet calla lilies and majestic purple irises. This Valentine's Day, I am tickled pink and purple and maybe just a little bit crazy at heart. Inspired by our annual spring landscape on Peconic Bay in Long Island, with it’s bursting pink peonies, pink and lavender hydrangea blooms and rich carpeting of shocking pink and purple petunias, I’ve put together a not so understated Valentine’s Day collection of stylish jewels and cards, available at Supermarket. 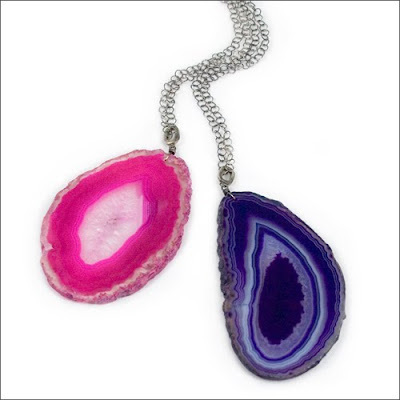 Highlighted by modern engineered stones that have been dyed or heat treated to create impossibly rich shades of magenta, purple, pink and ruby, the collection features fabulous items like my Dear Heart agate pendants, pictured at top, which are slices of pure color on blackened sterling silver chain. You can also find my Spring 2010 jewels listed on the Kitten Lounge Love Guide, which is all about things we would love to have or do. Cynthia Rybakoff Spring 2010 Crazy Heart collection, $28 - $125 and Handmade On Peconic Bay art print cards, $3.50 each at Supermarket. Check out this super profile of my husband Matt Shapoff, Posted to Main News, the Second Life newspaper. Not familiar with Second Life? Where have you been? 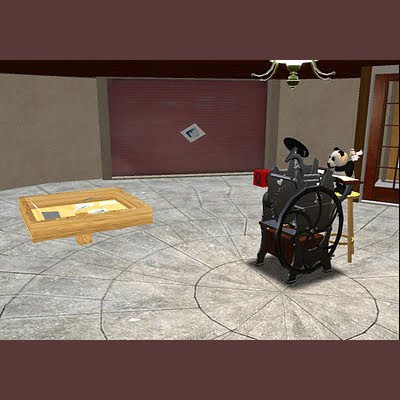 Second Life has been around since 2003, but it made a big splash in pop culture back in 2007, in an episode of The Office, entitled Local Ad, which introduced Dwight Schrute's "Second Second Life" avatar. Hilarity ensued. Matt's a real life artist and photographer, whose unique collection of one of a kind Cyanotype and Van Dyke Brown art prints, called Handmade On Peconic Bay, have been steadily gaining popularity online as virtual art since 2007. That's his art in a Second Life gallery pictured above. The flesh and blood Matt is transformed in Second Life into his alter ego, a tiny panda avatar called Kat2Kit. In fact, Kat2Kit is not only an artist but also a talented virtual actor who stars in Pooky Amsterdam's popular Second Life game show called The 1st Question. You can catch his live antics every Tuesday night at 10pm on treet.tv!